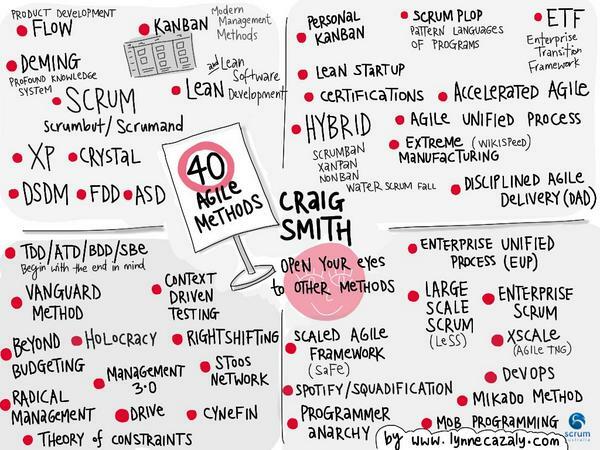 In the early days of Agile, the organizations that ‘got it’ didn’t need a playbook of frameworks, tools, and methods. They rallied around the 4 simple values and 12 timeless principles that formed the Agile Manifesto. Over the last 16 years, Agile has exploded in popularity and sometimes it seems we’ve pushed the Agile Manifesto aside to focus our attention inwards instead of focusing on what matters: Building awesome products that customers and users love. This is the 3rd year for the Agile Alliance OnAgile virtual conference and this year we’re going back to basics. We’ll explore the original intent of the Agile Manifesto and how we can turn our attention back towards building awesome products that our customers and users will love. OnAgile is the Agile Alliance’s annual virtual conference designed to bring the best of Agile ideas to the entire world. OnAgile2015 brought focus to technical practices, and OnAgile2016 focused on how to make the entire organization Agile. This year, we’re focused on going back to basics so we can revisit the original intent of the Agile Manifesto and how we can use it to build awesome products that customers and users love. See videos from the OnAgile 2017 event by using the search grid below. I am a user experience, agile and innovation consultant: I share my extensive designer, trainer and coach experience through targeted, game-changing engagements. In a unique blend of performance coaching, mentoring and training, I skill up leaders and teams, focus them on delivering success, and help them re-frame their products, services and processes into a manageable practice. My consultancy practice is grounded in an extensive knowledge of design, digital products and business management, fuelled by my 15+ years work experience, a wide network and extensive current knowledge and latest insights on Customer Development, Lean Startup, Agile and User Centred Design. I am passionate about people happily contributing their best and working well together, with focus and a clear sense of purpose, on products and services that firmly serve genuine user needs and goals. David teaches and coaches the adoption and improvement of agility as a delivery tool. His work includes helping companies of all sizes all over the world. Sometimes he is pairing with developers and testers, while other times he is helping to invent, evolve and plan the delivery of all types of products and projects. David also spends a great deal of time helping leaders at all levels find ways to pragmatically use agility to foster innovation. Colleen Johnson is the Practice Director of Adaptive Agile at ImagineX Consulting. Colleen applies a systems thinking approach to aligning agile methodologies across the enterprise and works with clients to apply the right cultural and context-driven practices to create sustainable agility. She is an expert in Lean/Kanban methods of software delivery and advocates for LeanStartup principles using scientific methods of customer-centered discovery. She is active in the agile community locally as a member of Agile Denver Board of Directors and Chairwoman of the 2016 & 2017 Mile High Agile Conference and nationally as a member of the Agile Uprising Board of Directors. She is the Cofounder of ScatterSpoke.com, a space for more effective team retrospectives. Ardita is a passionate Agile coach, trainer, speaker and consultant in the Toronto area. She brings more than 15 years of software development experience from different commercial and public organizations. Over the past few years her focus has been on process improvement for organizations that are adopting Agile frameworks like Scrum and Kanban. Working with both management and development teams, she is well known for applying Agile and Lean techniques to help identify and remove barriers in order to streamline software development efforts. She is driven in creating sustainable change and has developed techniques that focus on building teams that have a culture of continuous improvement. Chief technology officer and a cofounder of LeanDog, Jeff “Cheezy” Morgan has been teaching classes and coaching teams on agile and lean techniques since early 2004. Most of his work has focused on the engineering practices used by developers and testers. For the past few years he has experienced great success and recognition for his work focused on helping teams adopt Acceptance Test Driven Development using Cucumber. He has authored several popular Ruby gems used by software testers and is the author of the book, Cucumber & Cheese—A Testers Workshop. Jerridan is a science teacher-turned-software developer. He started out in 2012 playing with web development in his spare time, and after discovering a new passion and going back to school, he switched full-time to software development. Constant learning and growth are things that he values, and one thing he’s learned about being an effective developer is that it’s not just about the code. It’s also about things like task prioritization, time management, user feedback, and clear communication. Growing a bit more each day, Jerridan is currently working on an agile team at Nulogy. Ned is a designer and front end developer. Over the past 15 years he has built digital products for companies such as BlogTO, eBay, Disney and Mozilla. Ned is currently at Nulogy in Toronto where he’s helping strengthen collaboration between design and engineering. David Tangness has been testing software since 2011, first as a student and now professionally. After exposure to several teams and Toronto's testing meetups, he became an fan of context-driven testing; the idea that there are no best practices, only good practices in the context of your team's needs. Currently embedded as a tester in an agile team at Nulogy and figuring it out as he goes along. Loves to chat about this stuff, occasionally blogs at davidtangness.com.